An elegant, formal folding cane with a patterned chrome handle and chrome collar. The black, aluminium shaft is- and is fitted with a non-slip black rubber ferrule. The folding cane is supplied with a neat, black, quilted wallet, in which it may be stored when not in use. 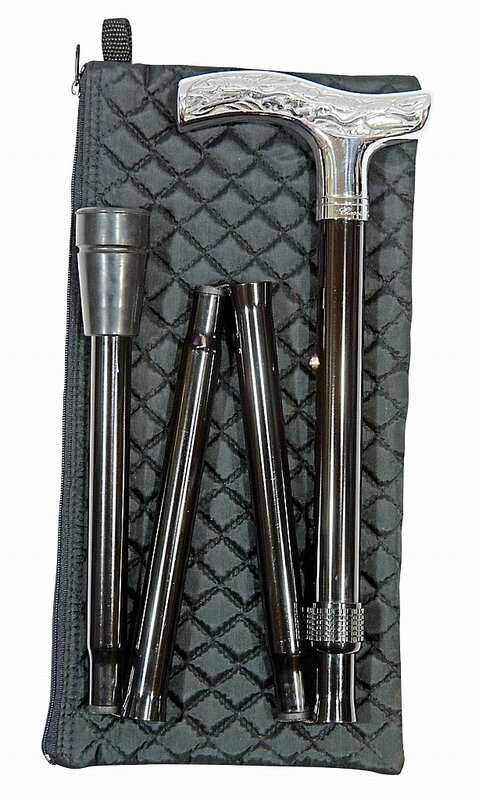 I would like more information about Folding Cane - Patterned Chrome Folding Cane with Wallet by Classic Canes.